Crye Precision by ZShot AVS and JPC plate carriers. A simple, expandable zip-on pack with a low-snag external design and roomy quick-access internal pocket. Now eqiipped with divided inside mesh pocket to better secure your HPA tanks - large Zip-On Packs will hold 2x 68ci 4500psi Ninja tank with compact regulator attached to each. 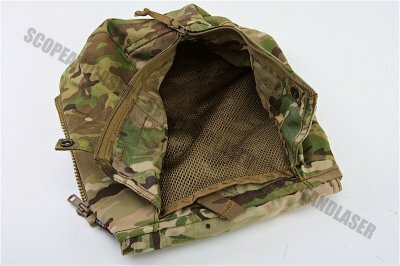 Medium packs will still hold 2x 68ci tanks but not in the mesh pocket (medium pack mesh pocket can each hold slightly smaller HPA tanks or 20oz CO2 tanks). 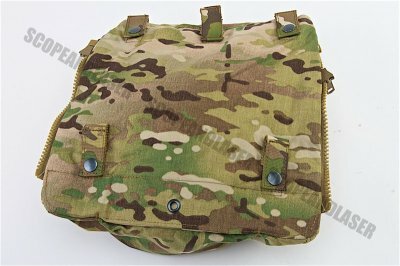 Also new is integrated side pouches for additional mag or frag / flash carrying capacity. 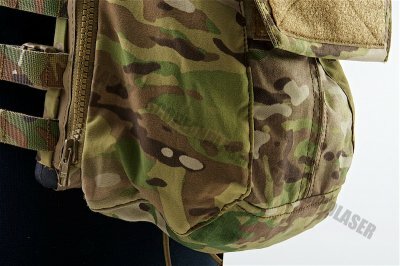 Expandable bottom pocket that allows for secure stowage yet rapid access of extended items such as bolt cutters or launcher ordinance. 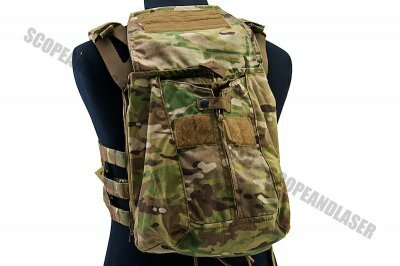 The ultimate solution to swapping loadouts with one core plate carrier and numerous rear Zip-On panels to suit any mission. 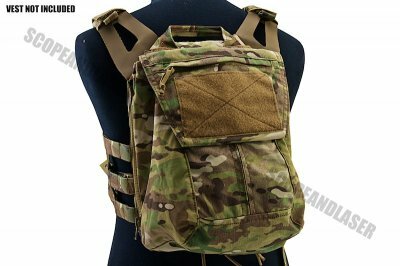 Secure attachment via YKK zippers and button loops, Zip-On panels provide many options for carrying extra gear, ammunition, and equipment. Compatible with the Crye Licensed AVS and JPC 2.0 systems.